Just what you and your tech need to survive the great outdoors (or a blackout). Bear Motion's self-powered radio/flashlight combo is $19 on Amazon today, down from an average price of $24. This flashlight can be powered by either solar energy or its built-in hand crank. 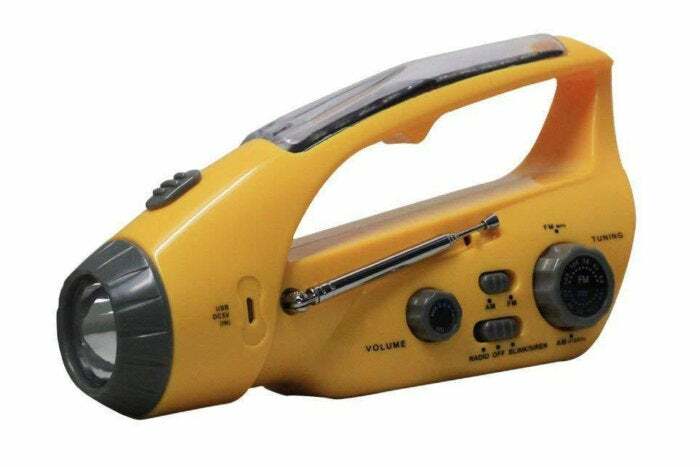 It serves as both an LED flashlight and an AM/FM radio—two essential features if your electricity goes out. You can also use it to charge your phone in an emergency. The flashlight includes three different charging tips and ports. You can never be too prepared, and a multi-function flashlight fits right into any emergency plan. can add peace of mind and convenience anywhere, from home to camping and beyond. While we haven’t tried this flashlight/radio ourselves, it has 4.1 stars out of 5 on Amazon over nearly 400 reviews. Customers point out its usefulness in an emergency as a great reason to buy.